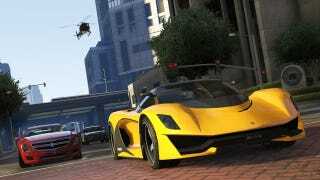 ...what do you guys think the Alpha (red car on the left) in next week's GTA V/Online update is? Elmiraj? CTS? Sixteen (that would be amazing)? Also, the Turismo R (yellow on right)...LaFerrari, P1, or a fusion of the two?